Wyndham Destinations, formerly known as Wyndham Worldwide Corporation, has completed the spin-off of Wyndham Hotels and Resorts to become the world’s largest vacation ownership and exchange company. 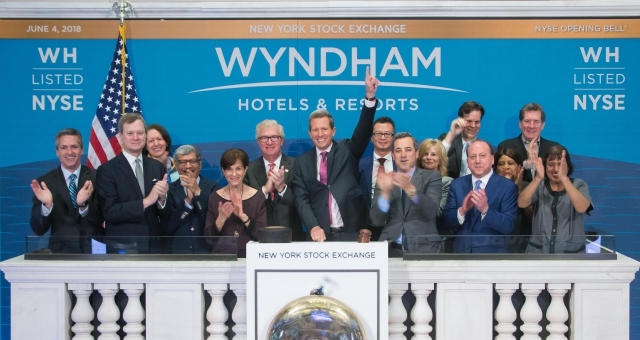 Both Wyndham Hotels and Resorts and Wyndham Destinations are now listed on the New York Stock Exchange under the new symbols of WH and WYND respectively. The listings coincided with this week’s NYU International Hospitality Industry Investment Conference in New York and the news has been the talk of the conference. 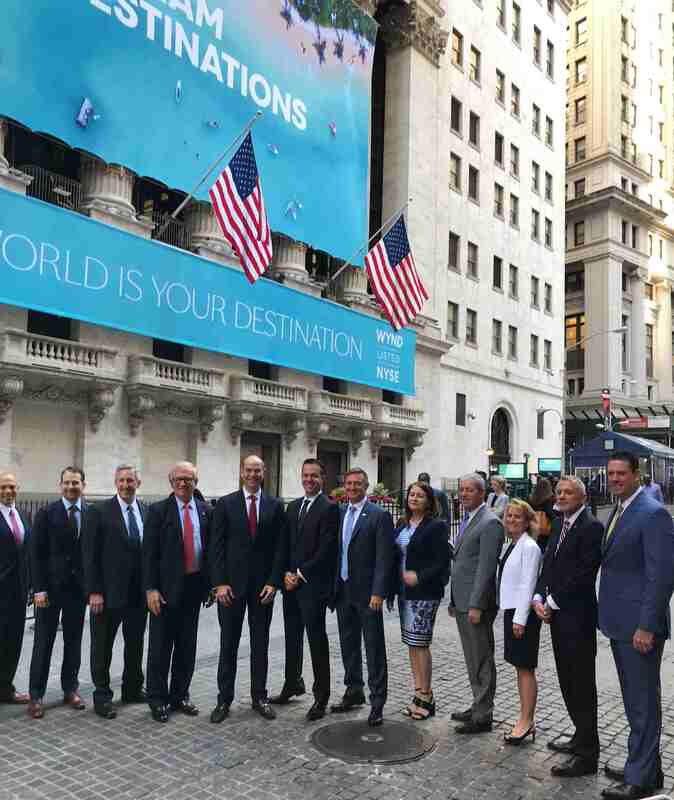 On June 4, Wyndham Hotels and Resorts, the world’s largest hotel franchisor, celebrated the NYSE listing when President and CEO Geoff Ballotti, Chairman of the Board Steve Holmes, executive leadership, team members and hotel teams rang the NYSE Opening Bell. 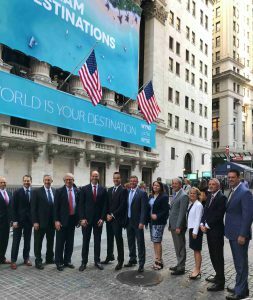 Then, on June 5, 2018, Wyndham Destinations executives celebrated the creation of the new company by ringing the opening bell at the NYSE. Wyndham Destinations has a global presence in 110 countries at more than 220 vacation ownership resorts and 4,300 affiliated exchange properties. “We are excited to move forward as a focused, pure-play company with a leading market position and significant growth opportunities. “With our experienced management team, robust sales and marketing platform, and increased financial flexibility, we look forward to providing our owners and guests with great vacation experiences and delivering value for our shareholders in the years to come,” he said. Wyndham Destinations expects to file a Form 8-K report with the U.S. Securities and Exchange Commission containing unaudited pro forma condensed consolidated financial statements reflecting the impact of the spin-off. “Every year 3.5 million families entrust us with their vacation dreams. Through our unique brands, flexible ways to explore, and more destinations than anyone else, we make it easy to experience and enjoy the most amazing vacations around the globe,” Brown said. As previously announced, Wyndham Worldwide common stockholders of record as of the close of business on May 18, 2018, the record date for the distribution, received one share of Wyndham Hotels and Resorts, Inc. common stock for each share of Wyndham Worldwide common stock held by such stockholder on the record date.